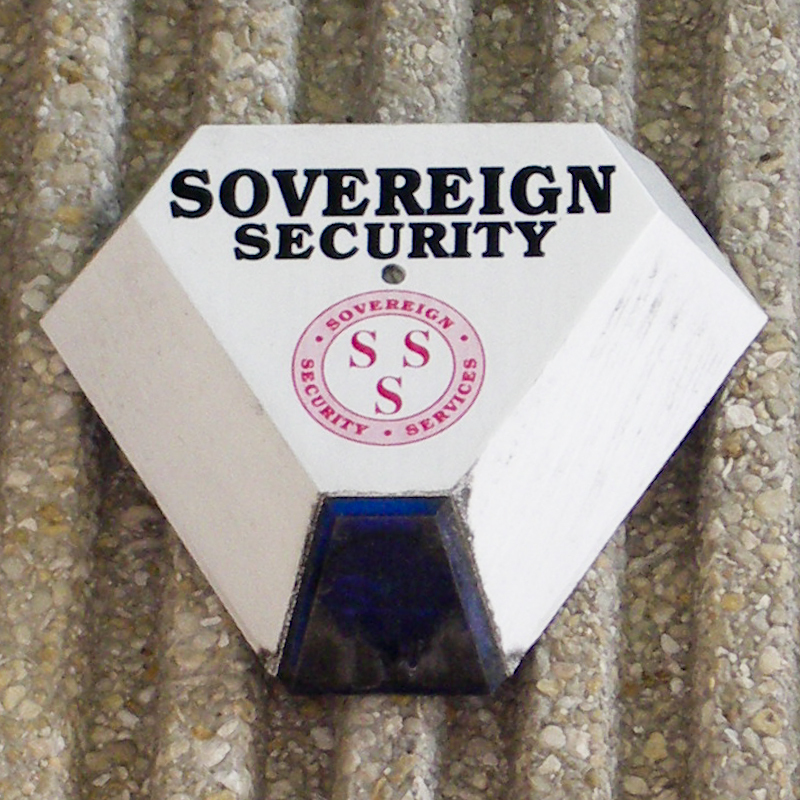 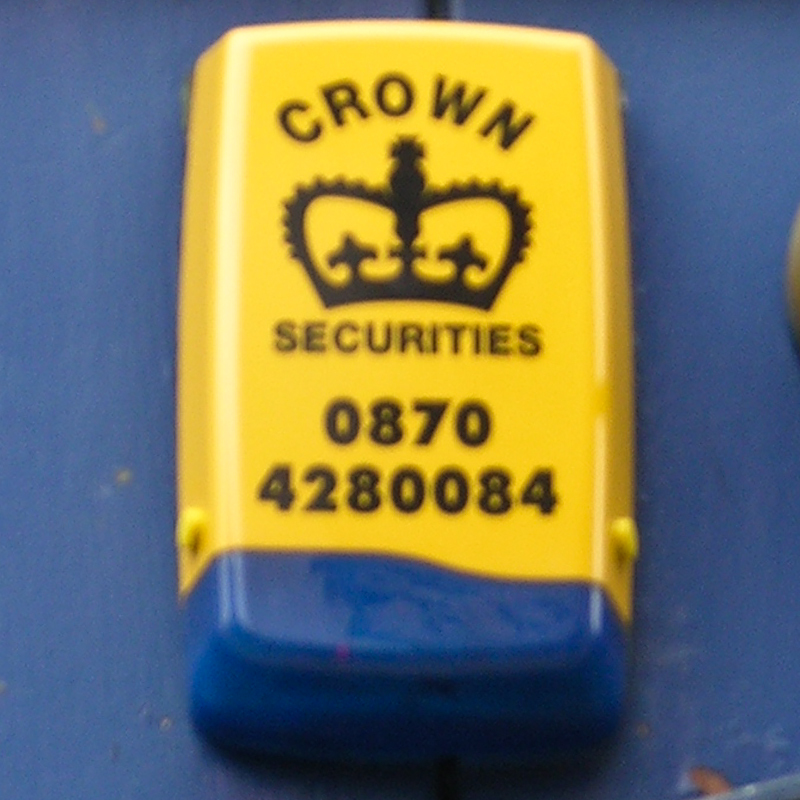 “Crown Securities”, Stoke: save the Wedgwood! 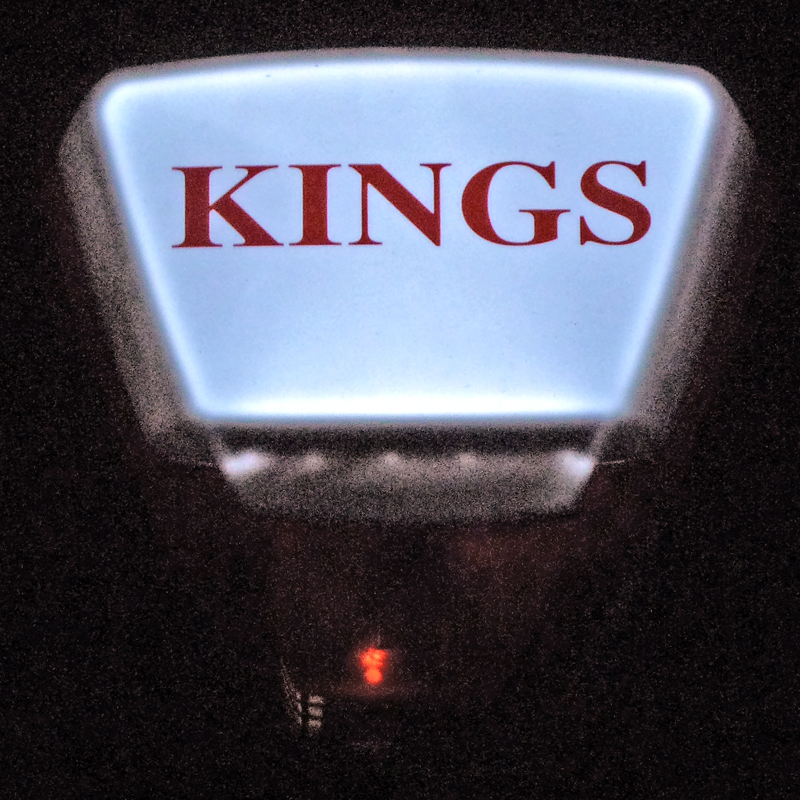 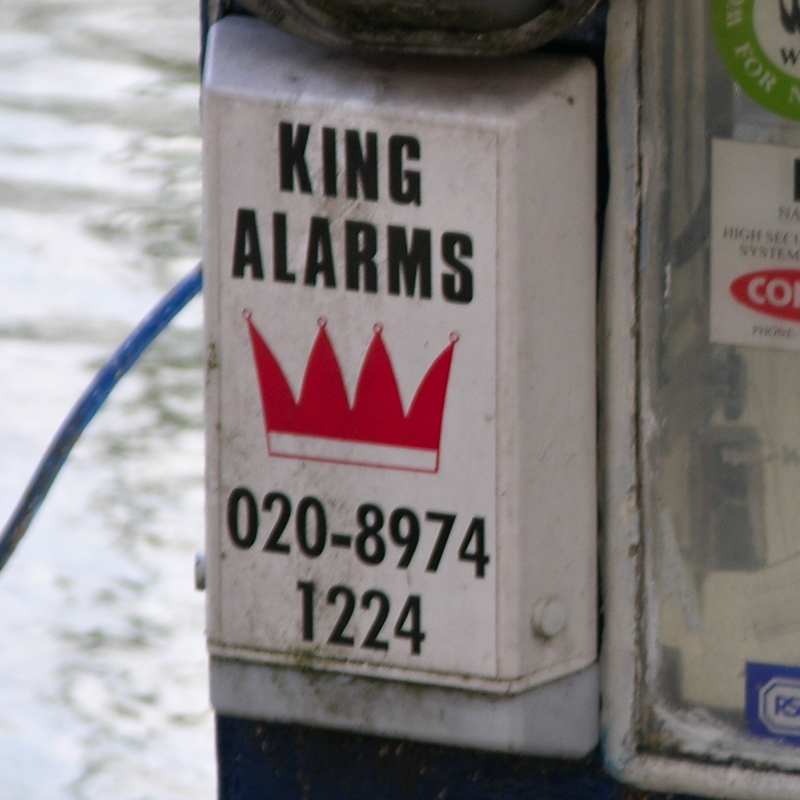 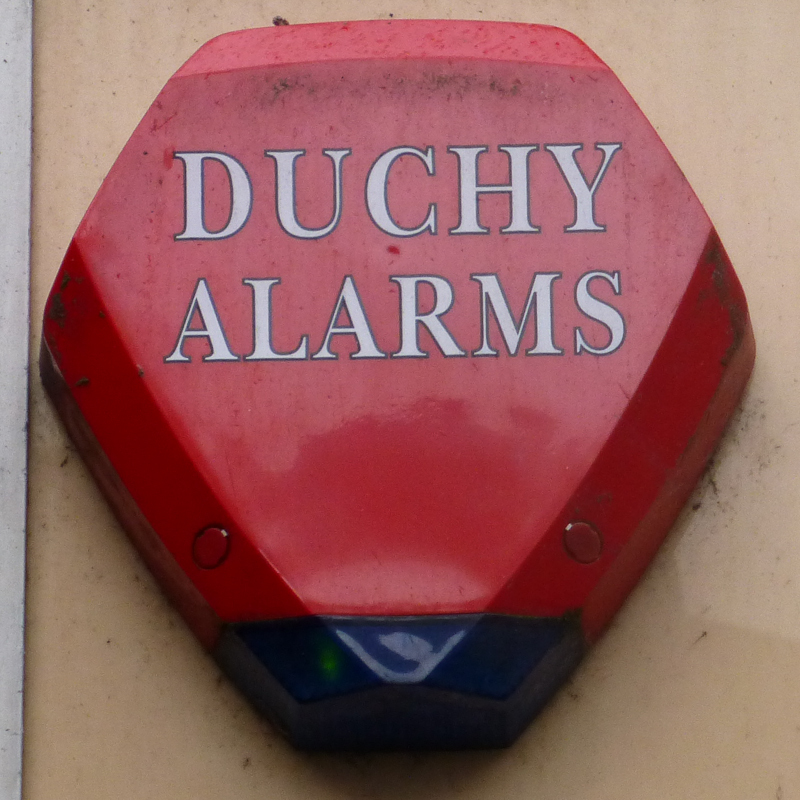 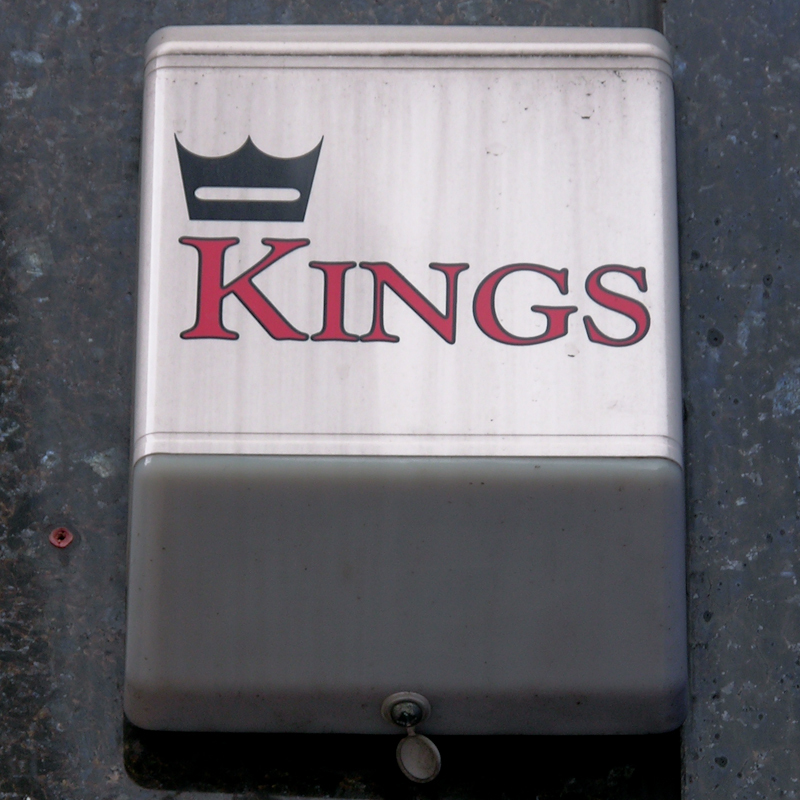 “Kings”, Hackney: what about queens? 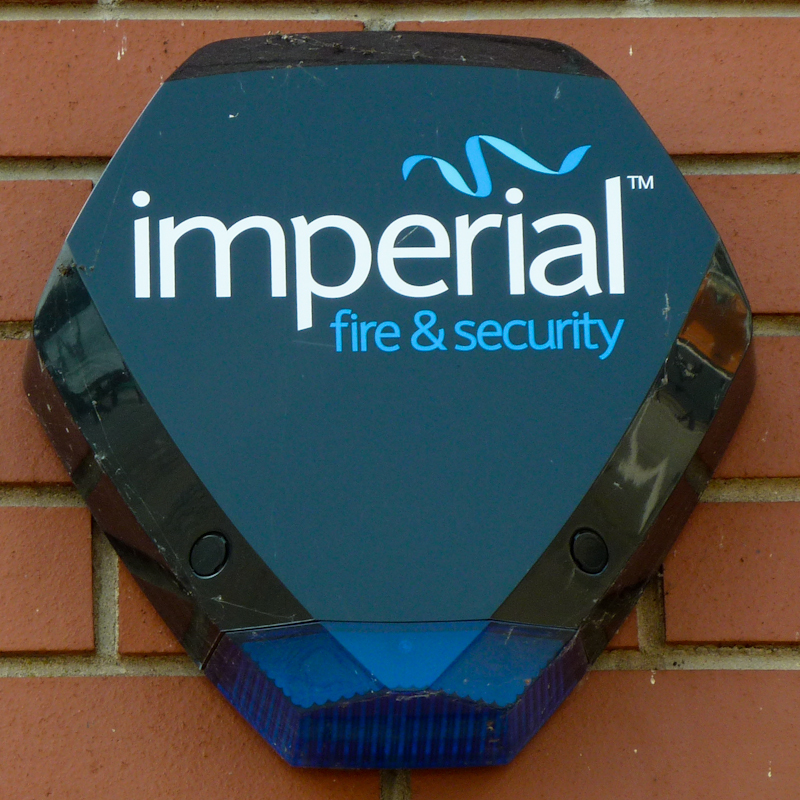 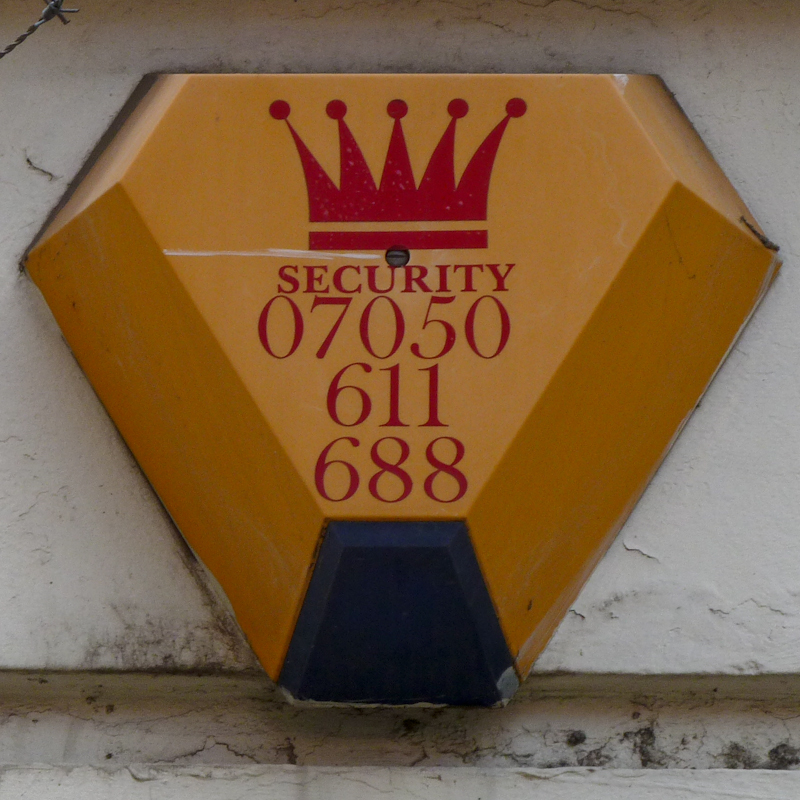 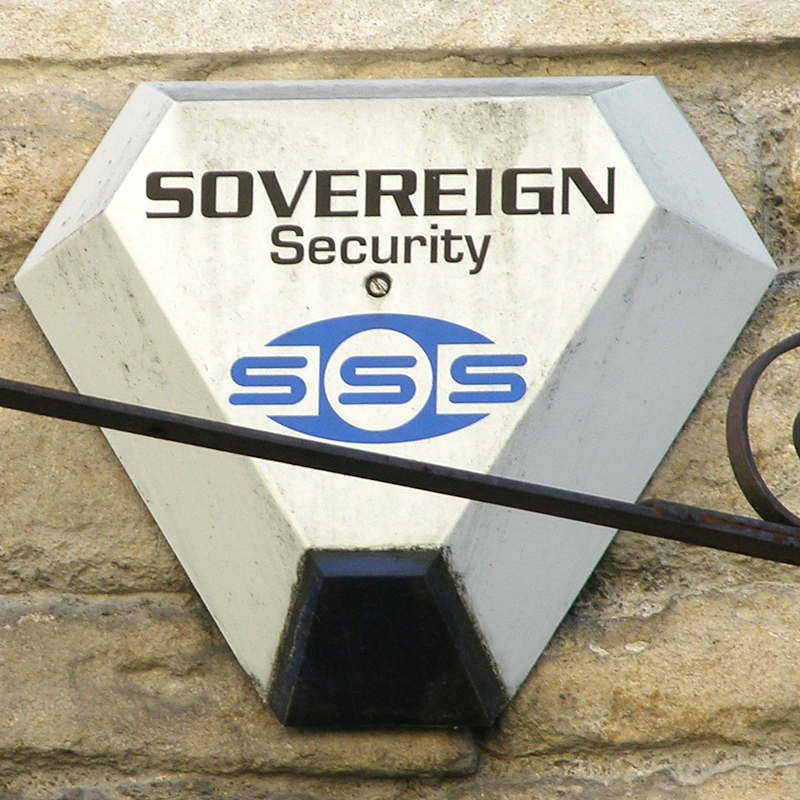 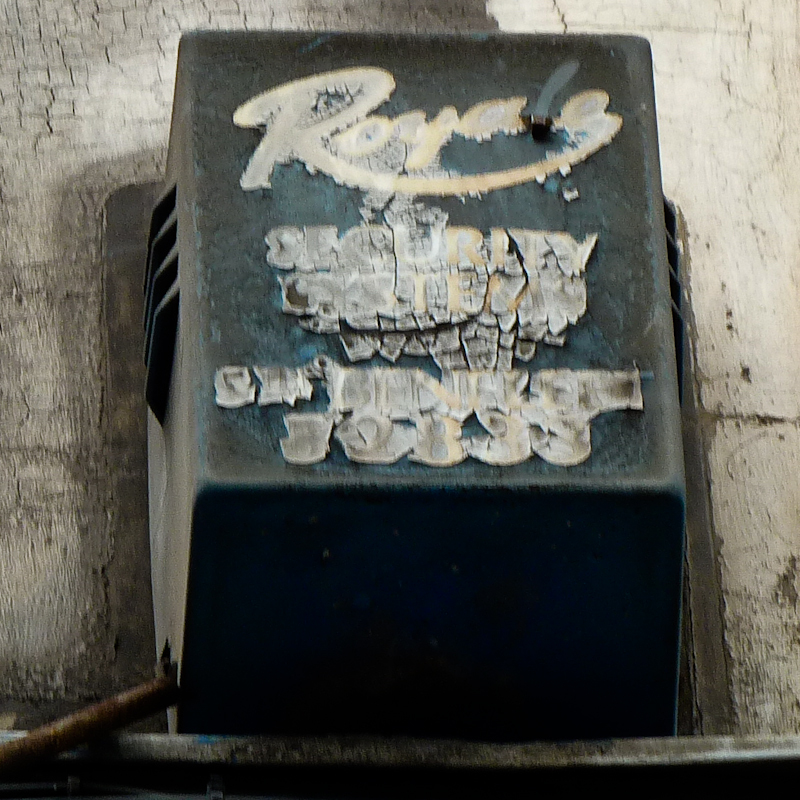 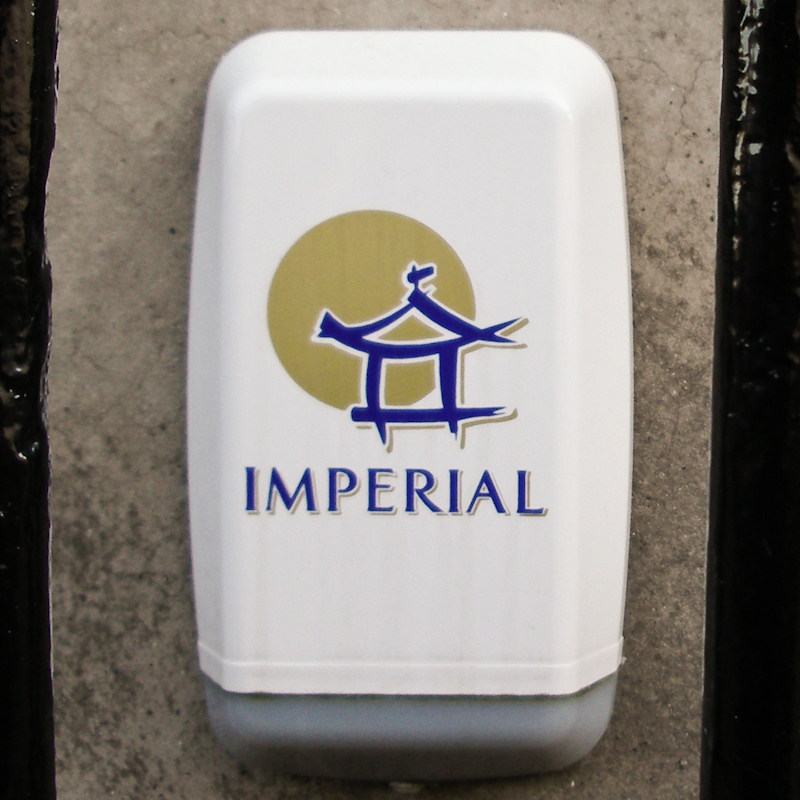 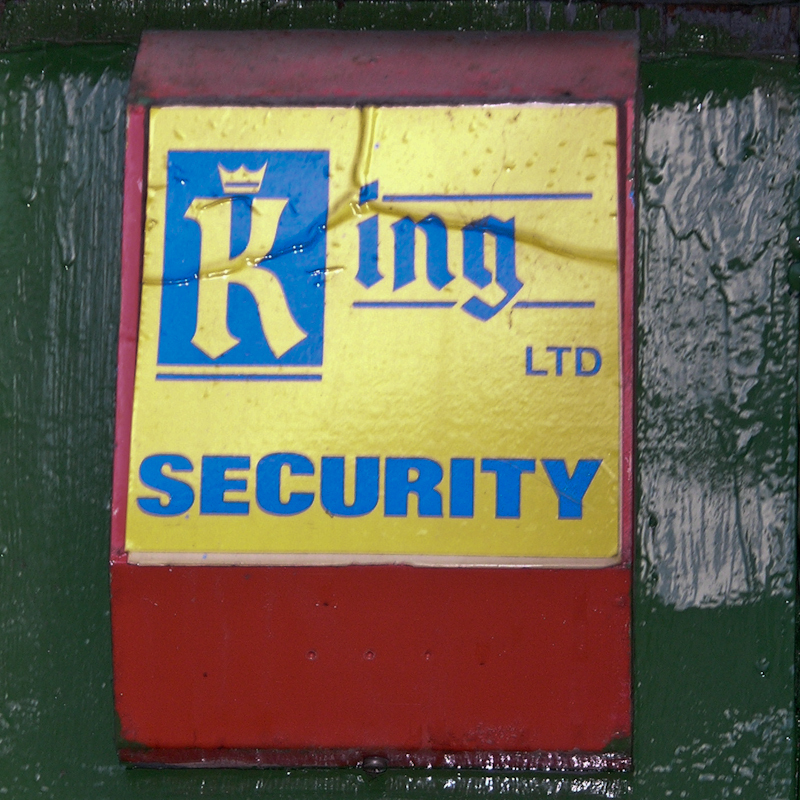 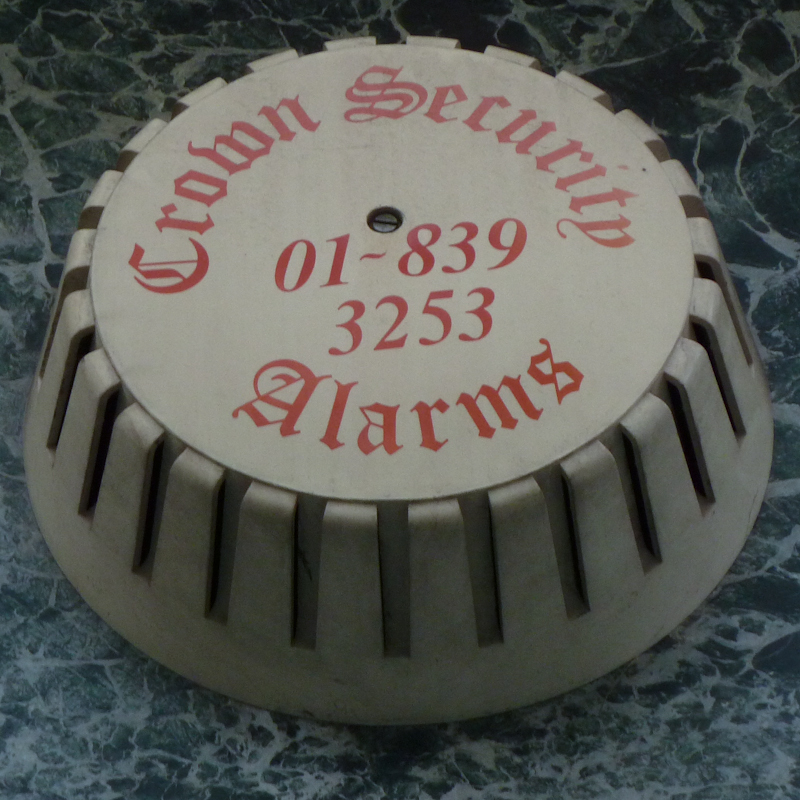 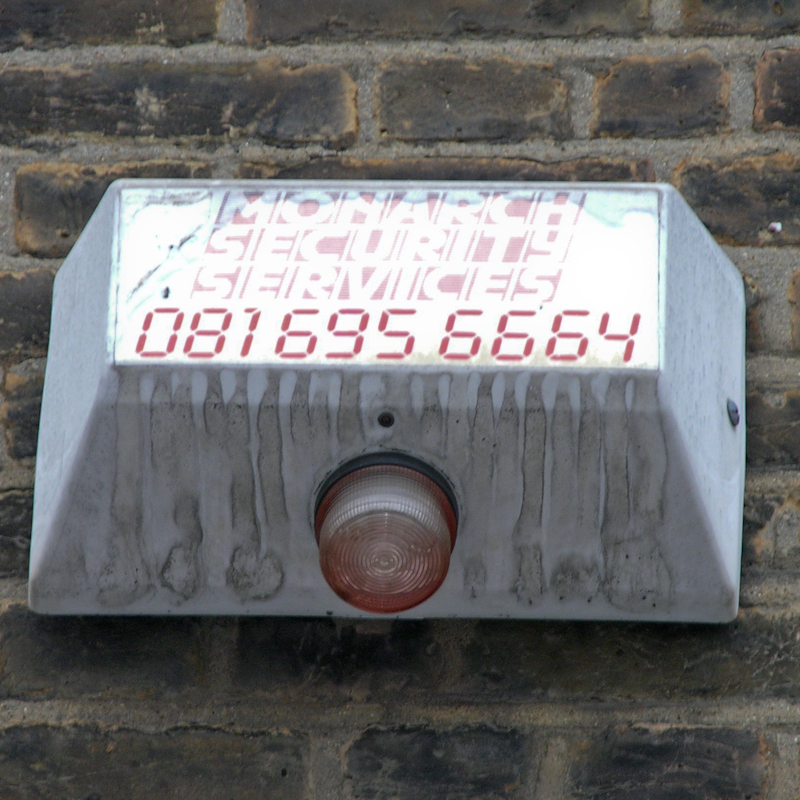 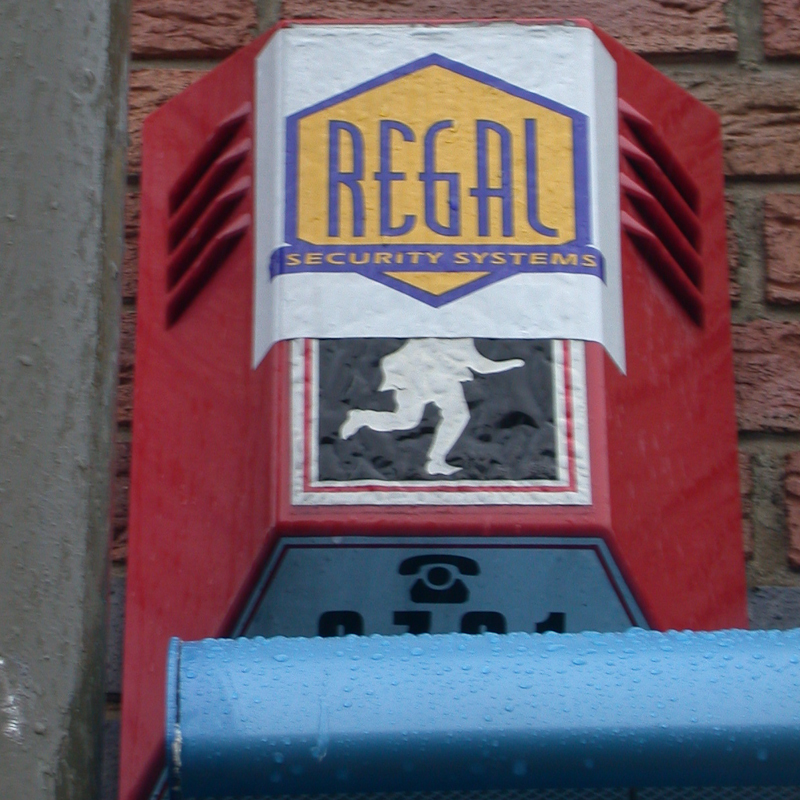 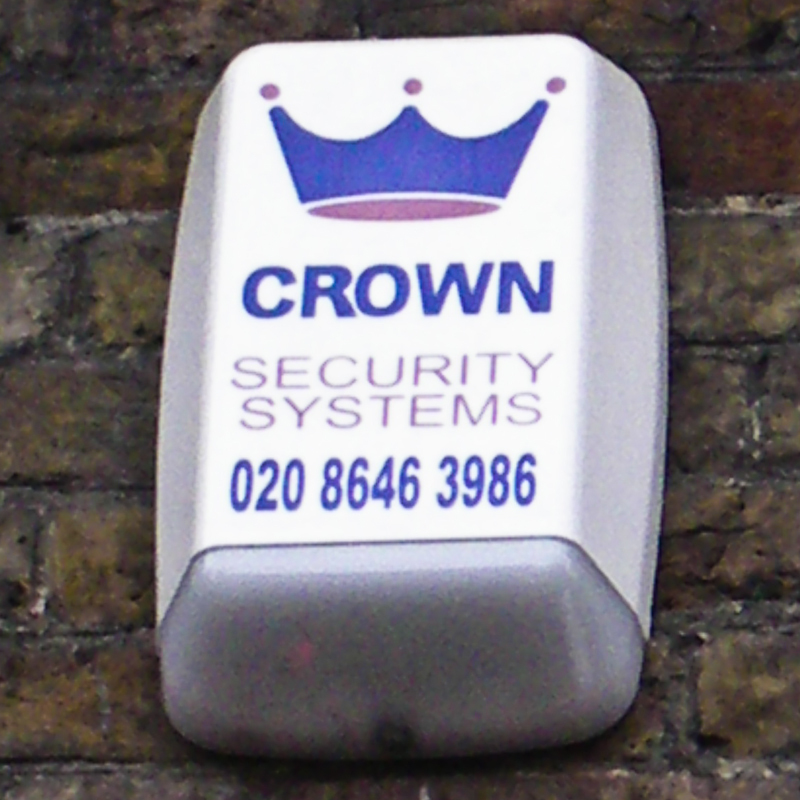 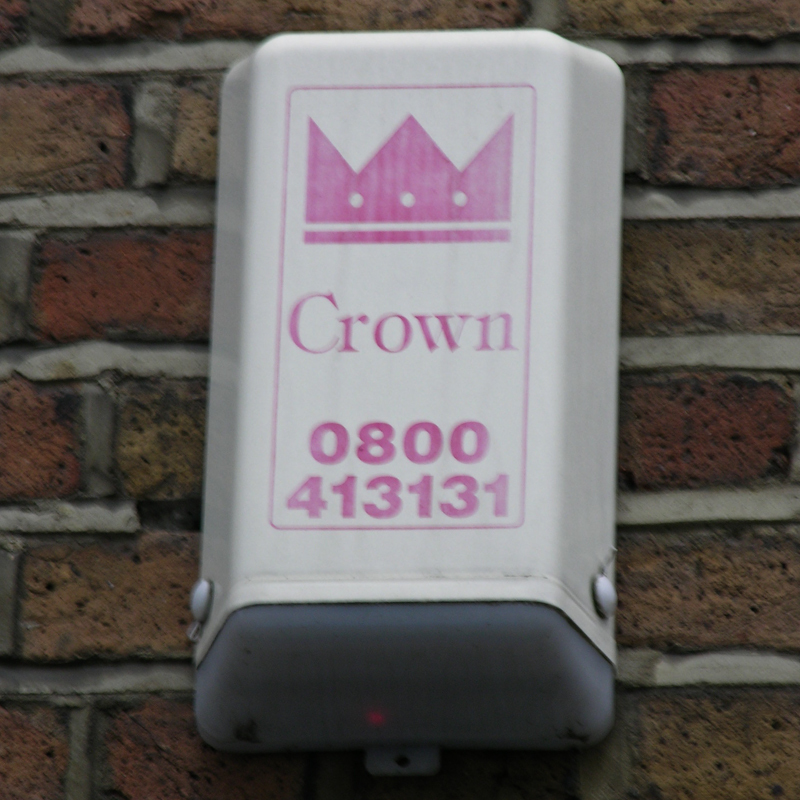 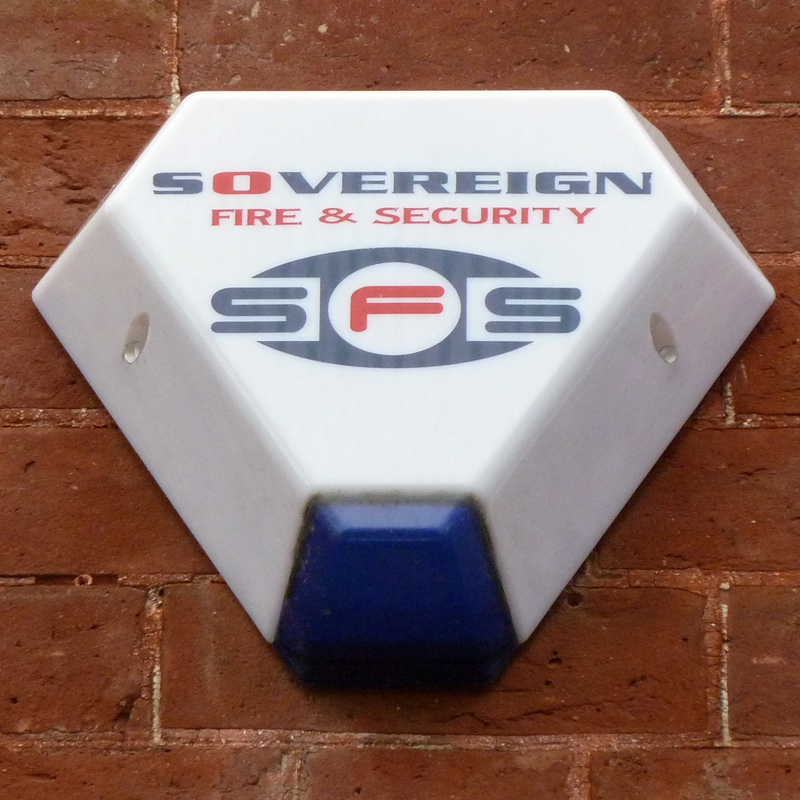 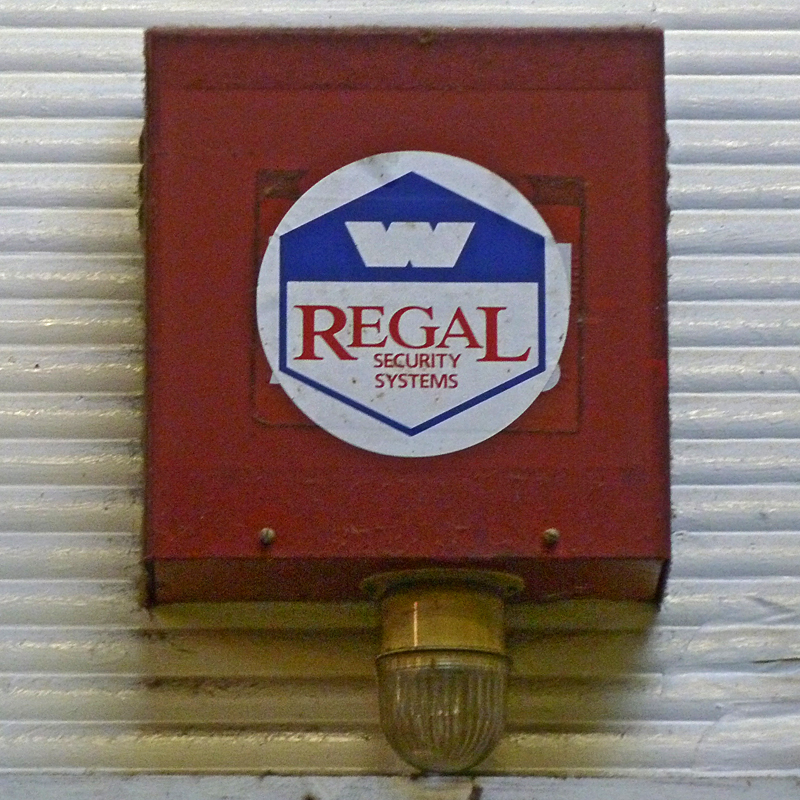 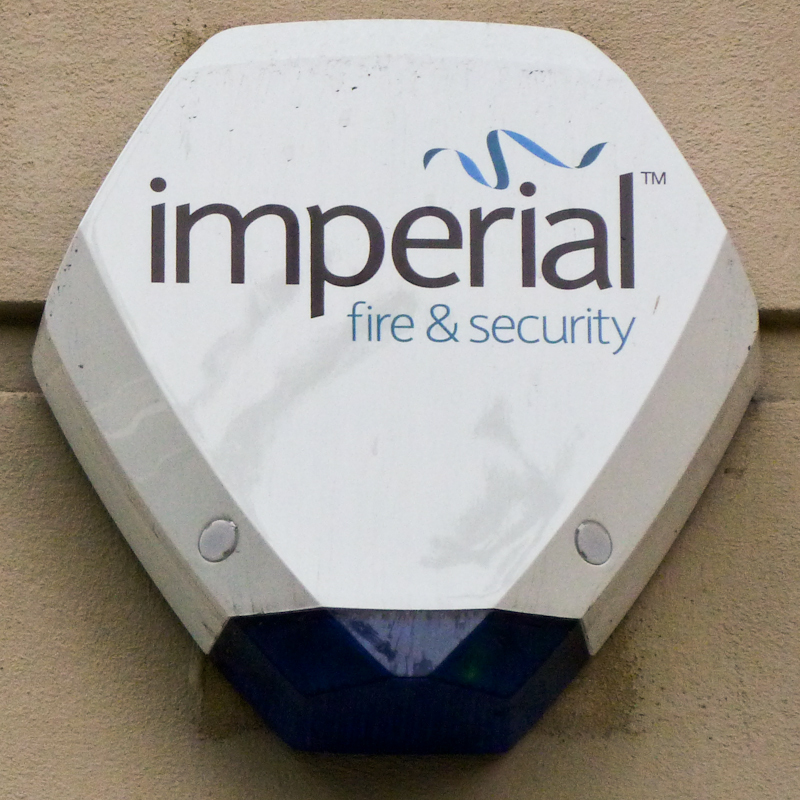 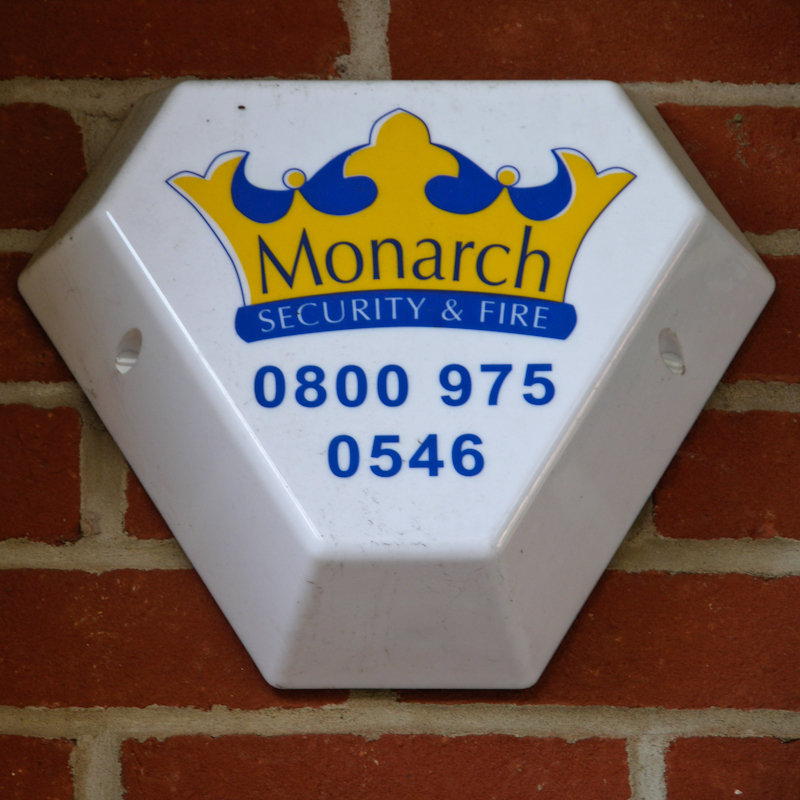 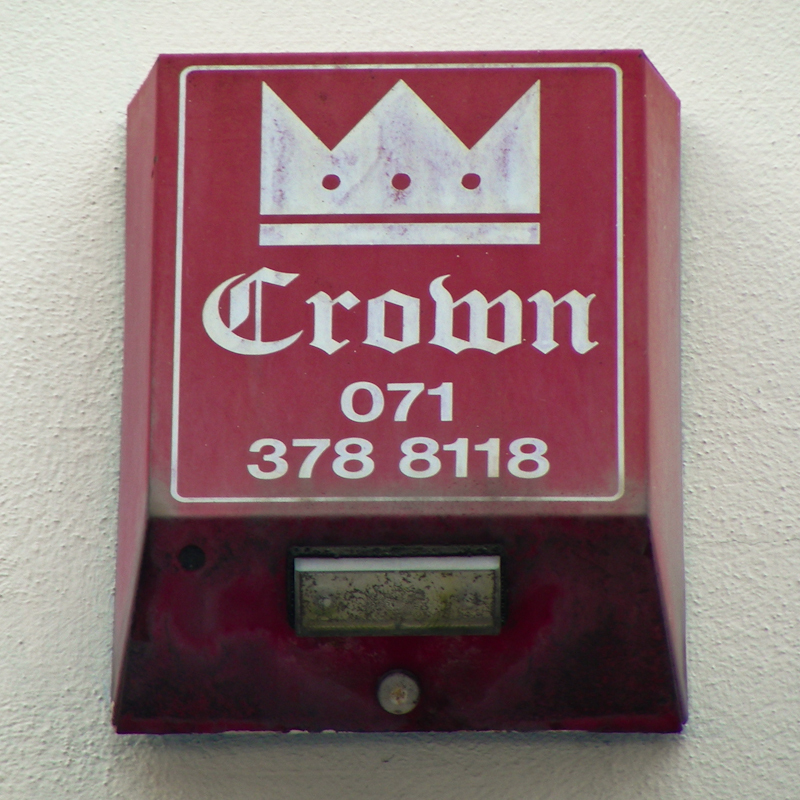 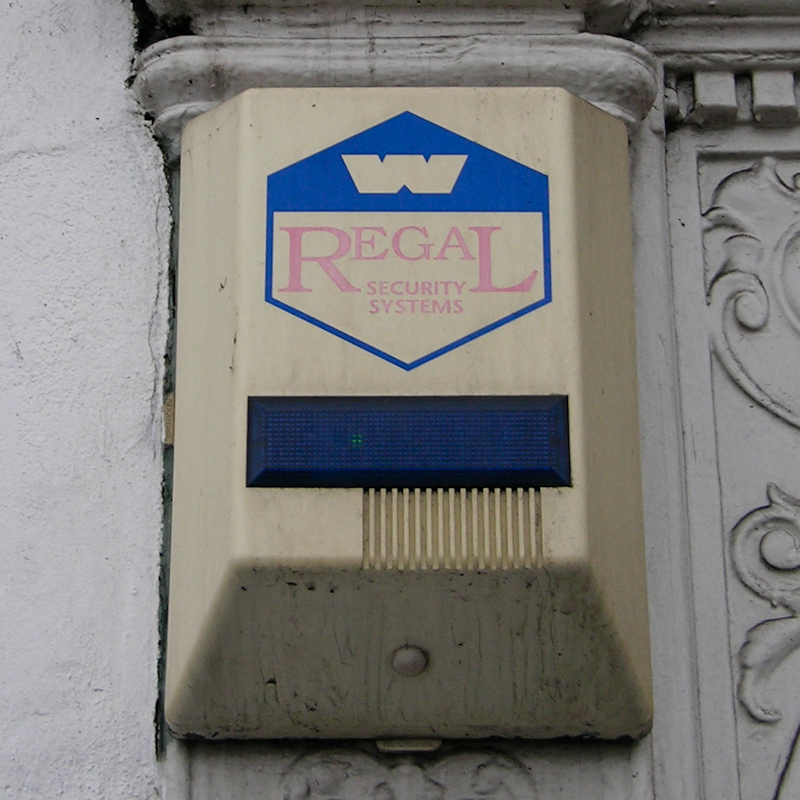 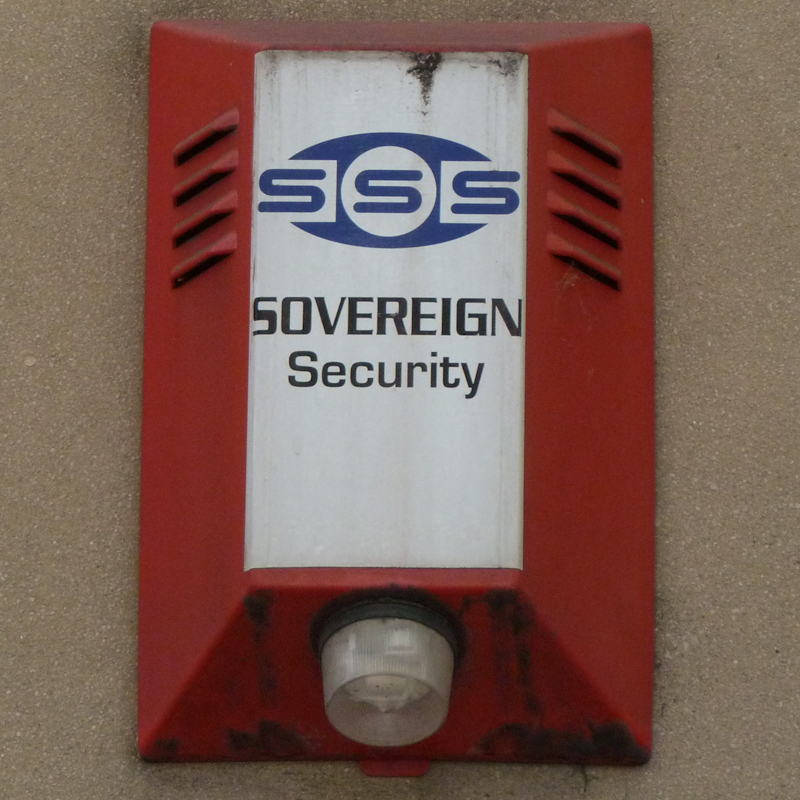 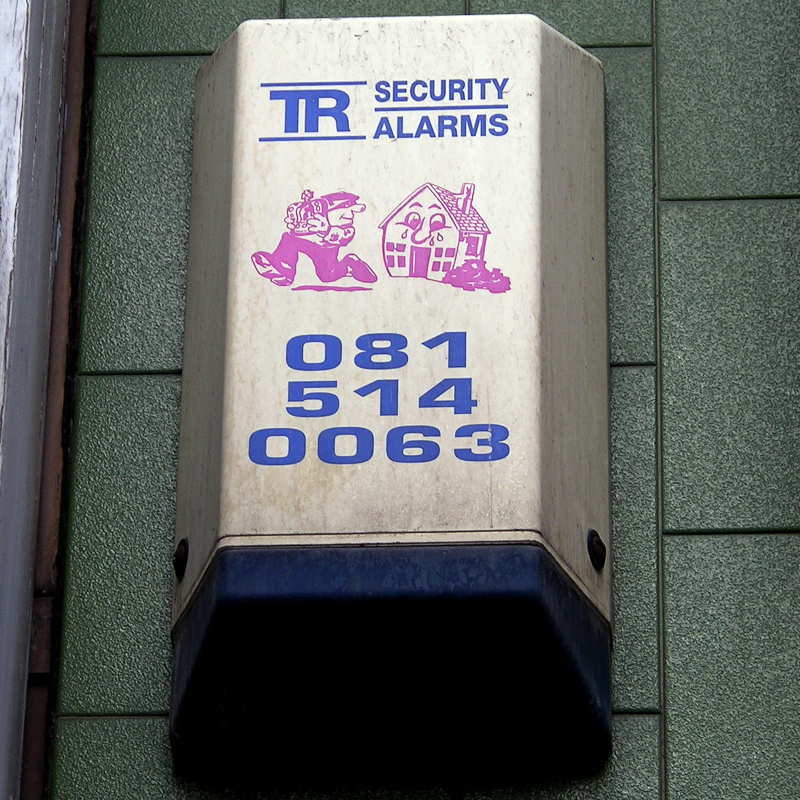 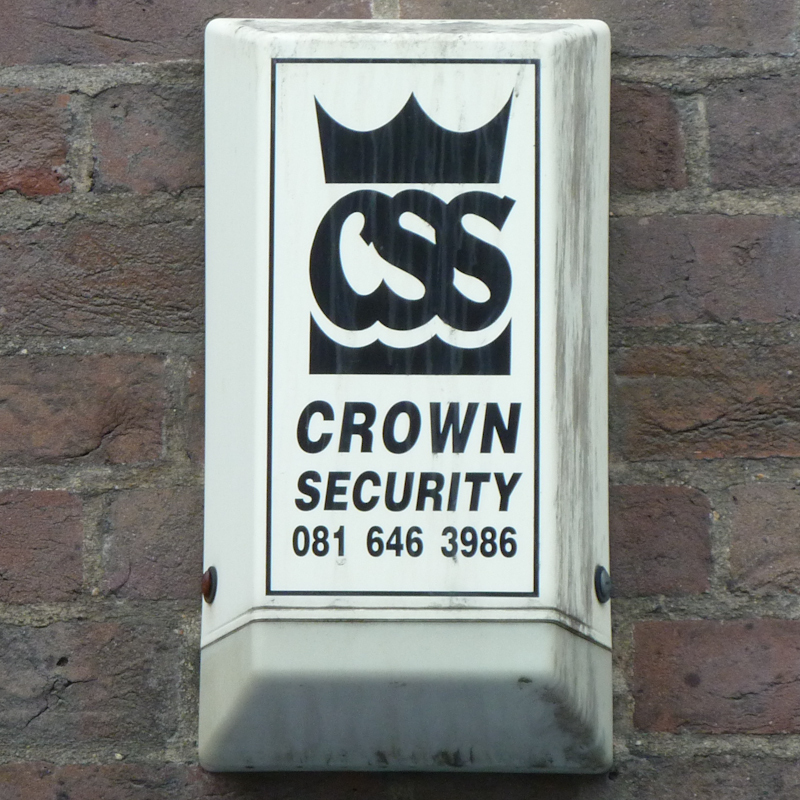 "King Security Ltd" burglar alarm, Sheffield • Only a small crown for this bell box, whose design recalls a kind of 1960s retro-grooviness, or possibly cheap frozen food packaging. 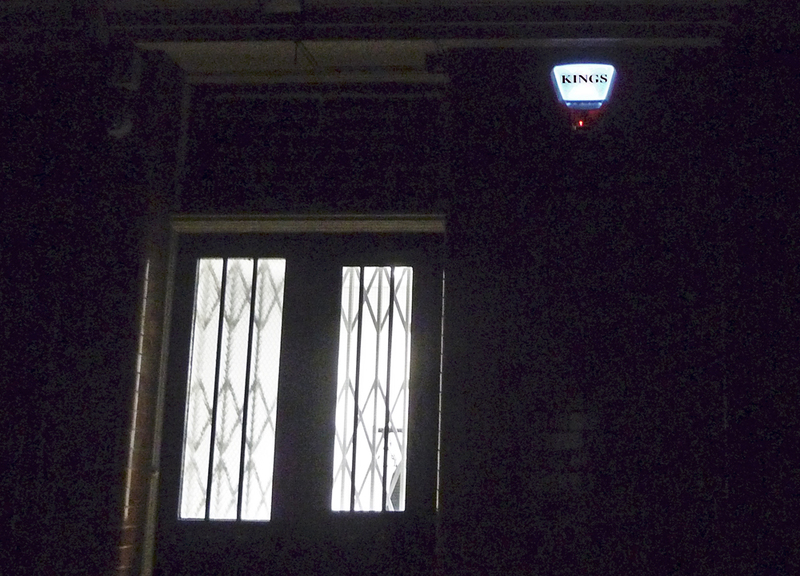 It somehow makes me think of hirsute '70s TV detective Jason King: that's him, down below. 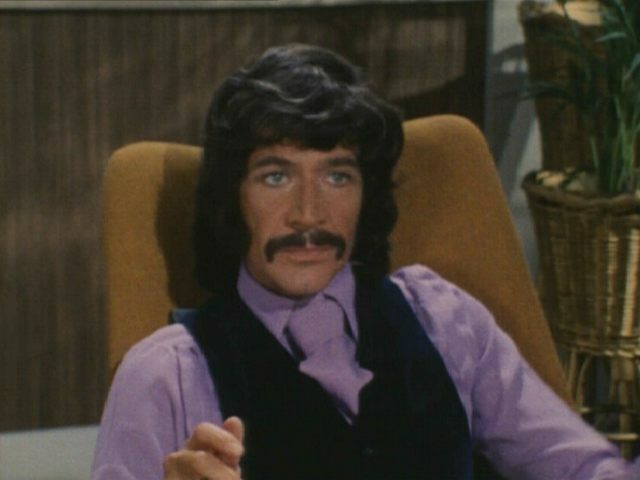 • Spotted: Wicker, Sheffield, South Yorkshire, S3, England, 2010 • Politics: In the Labour constituency of Sheffield Central Above: Peter Wyngarde, plus inadvisable facial hair, as Jason King. 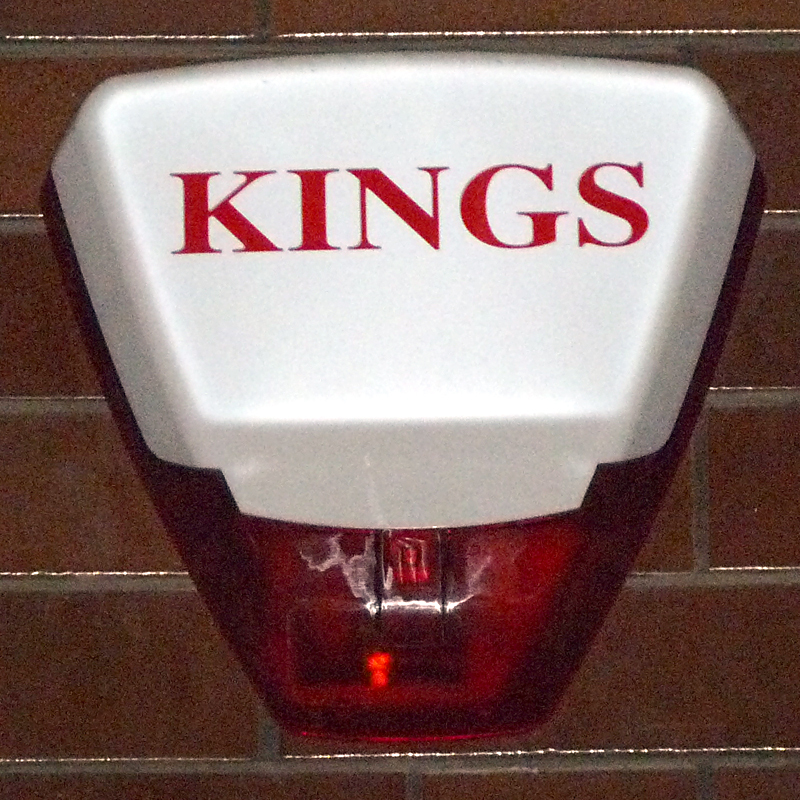 Calm down, ladies!